A requisite of any contract is its preamble. It contains General information about the document and its sides. Incorrect preparation of the preamble may result in serious problems. Under the preamble should be understood that section of the contract, which combines the name, number, date and place of its conclusion, as well as information about its participants. In the main part of the preamble should list the full names of the parties, their name on the Treaty text and information about the persons signing the contract, with indication of their powers. An example of the main text of the preamble of the contract of sale may serve the following wording: "limited liability company "Alfa", hereinafter referred to as "Seller", represented by Director Ivanov Sergey Petrovich, acting under the Charter of the company, on the one hand, and the limited liability company "omega", hereinafter referred to as "Buyer", represented by Director Sidorov Ivan Ivanovich, acting on the basis of the Charter of the enterprise, on the other hand, have concluded the present agreement as follows". 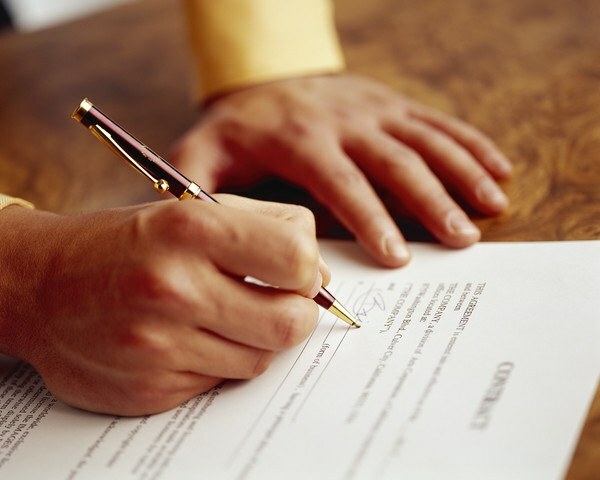 If the person concluding the contract is acting under a power of attorney, the preamble shall contain its data (number, date and issuing authority). In the case where a party to the contract is a sole proprietorship, the preamble indicates his credentials. At the conclusion of the agreement with an individual in the preamble should present the data of his passport. It is possible to determine whether a natural person to residents or non-residents. This depends on the size of tax withheld from his income. There are a few common mistakes when completing the preamble of the Treaty. In the case of the use of fraudulent schemes in the preamble of the Treaty are false powers of the person authorized for the transaction on behalf of the second party. In the result, the injured party typically can not provide the contractor any claim, since the responsibility rests with the dishonest person who signed the contract. So before you sign a contract, you need to check the powers of the person are those specified in the preamble. Often in the preamble, the parties shall disclose their name, are not typical for contracts of this type. For example, in the contract side instead of "Customer" and "Contractor" refer to themselves as "Customer" and "Contractor". As a result of the parties may lead to confusion as the performance of the contract, and at the stage of possible litigation. At the conclusion of the contract with the individual entrepreneur some point in the preamble it as a simple physical entity. As a result, the party paying such income to the entrepreneur, unwittingly becomes a tax agent. In order to avoid this, the preamble should clearly specify that the contract is with the individual entrepreneur. In addition, the conclusion of the contract, where is given a place to the details of the parties, it is necessary to specify the registration data of the entrepreneur. The place of contract, it is important to specify while performing foreign trade transactions. It can affect the choice of law of the country, which will govern the relationship between the parties.